I've been trading for over 25 years and have experienced many challenges along the way. Through my experiences I've learned the hard way what works (made money) and what doesn’t (lost money). In my quest to help as many traders as possible avoid the pitfalls I've encountered, I'm constantly thinking, "how can what I've learned work for you?" First off, I've thought about your trading challenges a lot, maybe even more than you have. My hope is that if I know your struggles, then with my insights and experience, I can provide better solutions to them than you can get anywhere else. While my theme this year has been "consistency," at the end of the day a person can "consistently" make more money if they have a larger account and the markets are moving! If you're reading this article, I’m going to assume you're interested in growing your account and that it is not "large" yet. - Futures: Good for scalping, but you need an exchange seat to reduce commissions. 99% of small retail accounts lose money trading futures and forex. - ​Selling Options Premium: good for all sized account that are looking for make 20% to 30% per year. - Buying Specific Types of Options Specialized for Small Accounts: good for smaller accounts looking to make a quick and safe jump towards becoming a large account. - limit risk even in the face of an unexpected disaster. - t​rade small and risk only a small percent of your total account on each trade. -> With buying options, you only take up ­ and risk ­ a small amount of buying power, creating the ability to compound your gains with limited risk. - You can take less risk, and make a great monthly income off a large account. - You can be more relaxed, less stressed, and create more free time. - Luckily, small accounts have a unique niche in the markets that larger accounts, and especially funds, can’t replicate. ​With small accounts, because of the flexibility with liquidity you have the opportunity to make extraordinary gains. Large accounts and hedge funds don't have the the flexibility that a small account has. As you can see, there’s not enough options volume for funds. So why are buying options on these small account set­ups so profitable? T​here are specific setups that small accounts can take advantage of and hide their footprints. This setup is repeatable, and one trade can m​ake your whole month. These are great setups for small accounts and you don’t have to stare at the charts all day. But first, you have to understand what to look for! The key to this is knowing that when you're buying options there"s a "mathematical logic" behind the pricing. Stock prices will stay "within a particular rang" during the course of it’s life cycle. This is why a lot of options "expire worthless." People just aren't aware that options "outside of the expected price movement" are actually expected to expire worthless most of the time. Yes, it is all about timing. With options, you only have to catch one "price burst" to make your month, or even your year. Most of the time people who buy options buy them at the wrong time, the wrong strike and the wrong price. A stock like General Electric (GE) or International Business Machines (IBM) are generally not going to have to have a price burst, absent some kind of rare black swan event. These are predictable companies with steady earnings and not very many surprises. We're looking for things that are outside of the market maker's control. When these things come together, combined with the right technical setup, the odds of a "greater than expected move" and can "explode" in price. Wealthy option traders look for big moves, moves that will force the option to move many times over. Additionally, with the GTEM's (greater than expected move), we only need to be right 1 in 10 times to make an exponential return on our initial investment. Let’s take a look at a few examples, starting with Home Depot (HD). By now you may be asking, "what if it doesn’t work?" Not all positions will explode after earnings or based on a news story. It’s great when they go up 10x in value (or more) but the reality is they won’t all do that. Does that mean you lose your money on the trades that "don’t work?" In a word...No. Remember, many of the stocks we’re interested in don't have the largest volume in the world. Don't get me wrong, I love trading Apple (AAPL) and a lot of money can be made trading options when AAPL goes up $1.00. But what most traders should be watching, and what I'm interested in, is the niches where funds and market makers don't have much of a say. These are represented in stocks that have wider spreads and lower volume, which makes it harder for them to control. Now, this can also make it riskier for you to trade. This is another opportunity for me to mention that you should only be trading with money you can afford to lose. Trading any other way clouds your decision-making and always results in bad (losing) trades. You might be asking, why doesn't this seem hard? Why isn't everyone doing this? The reason is that most option traders are looking for moves in the option that simply won't happen with the underlying stock. They get sucked into holding an option on a stock that the market makers have way too much control of. And even if they do make small gains, they are suckered into giving it all back to the market makers when they manipulate the stock in small ways. As long as your money is "in the market" the market makers know they can take it from you. If this all sounds complicated, the good news is, you don’t have to know anything about options to do this strategy. It’s perfect for newer traders with small accounts that are looking to grow them quickly. The options strategies are relatively safe - no naked selling, no random assignment of stock. When done right these trades can take your account to the next level. 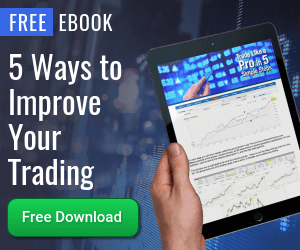 It allows you to trade less, identify moves that will screw the market makers, avoid market maker games, and make big trades. Once you have a large account, you can start trading for income. But first, you need a large account, and no, no one is going to give it to you! However, if don’t get it right, you will be the "sucker" who is buying options when you should have been selling them. So, where do you go from here? Naturally, the approach, tools, trade secrets, resources and community we’ve developed to allow traders to find these opportunities is not available to everyone. Nor do I do this purely for fun or charity. You can take what I've shown you here and fumble through on your own, or you can tap into the community, tools, resources and trade secrets that are only available to my clients. It's the perfect time to learn this strategy and here’s how you can do so. Go to Simpler Options and get the free E-book. It's a great start and will build on what you've just learned.